“1. What is the name of your blog and how did you decide on your blog name? My blog was initially the very original ‘Clive’s Blog’ but I decided to change the name when I retired, to reflect my new status in life. ‘Take It Easy’ seemed to fit this, and it’s taken from a song you may know. I was off work for nearly ten months in 2011/12 with depression, and part of my rehab when I went back was to take a course of Cognitive Behavioural Therapy (CBT). 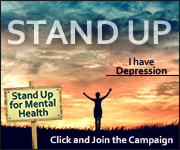 My counsellor set me writing tasks as part of this, to record my thoughts and feelings, and it was his suggestion that I turn these into a blog, as he said my writing was ‘inspirational’ and would help others. This is how I started, in late 2012. Those first posts are under the ‘My Story’ tab in the menu at the top of my blog, and give people a good idea of why I began. 4. How would you describe your own blogging style? 9. Do you have any wisdom or tip/s regarding blogging to share with us? 11. What do you like to do other than blogging? I live in a small town (pop. 12000-ish) called Epping, in the UK. It’s about 20 miles from London, but is much slower paced than the big city. It’s a town with a long history, and a very pleasant place to live. 13. Are you an indoor or outdoor person? On balance I’m an indoors person. I do enjoy going to live sporting events and to live music shows, but I have a long term health condition which restricts my movement. It’s frustrating, but I don’t let it get me down. There’s always the balcony to my flat, where I can enjoy the good weather – if we ever get any! 14. Do you still work, and if so, what is your trade/profession? 15. Or are you retired? If so, what do you do besides blogging? It feels easier to take these two together. I retired in September 2013, when I reached the grand old age of 60. Prior to that I had for twenty years been a manager in our National Health Service – I had many jobs in that time, but a recurring theme of these was working with our clinicians to help develop new services. As to what I do apart from blogging, please see answer 11! 16. Do you wish to be 20-something or the age you are now and why? 17. What makes your day a good and happy one? 18. Describe yourself in 3 words. 19. Share with us 3 interesting facts about yourself. I’ve been divorced and living on my own for 10 years, but have two beautiful daughters from the marriage – I love them both to bits! I was born and brought up by the coast but never learned to swim – I was afraid of the water! 20. Do you have any other tidbits to share with us about yourself? I’ve followed the series of interviews as it has developed, and am finding it fascinating to learn more about the featured bloggers. Some are new to me, others more familiar, but even with those I already ‘knew’ I’m discovering hitherto unseen aspects of them. 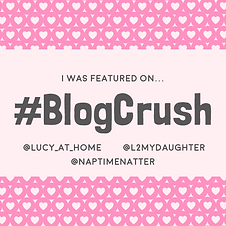 If you’re interested in what makes other bloggers tick do take a look at Esmé’s blog – the link is in my opening paragraph, and you can find direct links to some of the previous interviews in her menu (and others are linked at the end of each post). 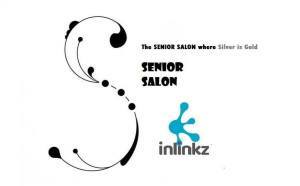 You may not be a senior blogger like me but, if you are and haven’t yet found the Senior Salon, I can recommend it both as a place to share your own posts and to find others to follow. And even if you aren’t so senior in years, there is plenty of good reading to be had there and on the rest of Esmé’s blog, not least the interviews. Do try it!